Sign-up to receive email reminders 24 hours before your recycling collection day. 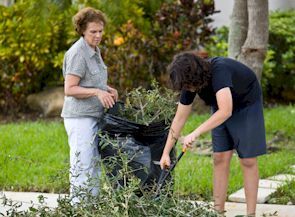 GSWA is always looking for ways to expand residents’ opportunities to reduce waste and recycle. Recycling is the best way to preserve space at the Layon Landfill, and it has economic and environmental benefits over landfilling as a waste disposal option. 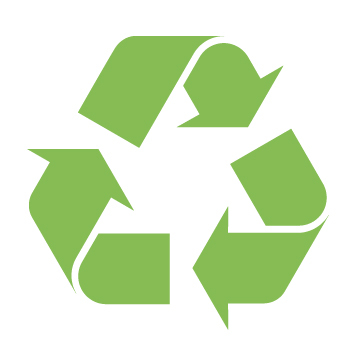 In October 2013, GSWA began to deliver recycling carts to its residential customers allowing them to place all of their paper (magazines, copy paper, newspaper, cardboard, cereal boxes, and other paper), aluminum and metal cans, plastics 1 & 2 beverage containers into the Recycling Cart. GSWA collects the recycling cart twice a month on either the 1st and 3rd or the 2nd and 4th weeks of the month on the same day as trash is collected. 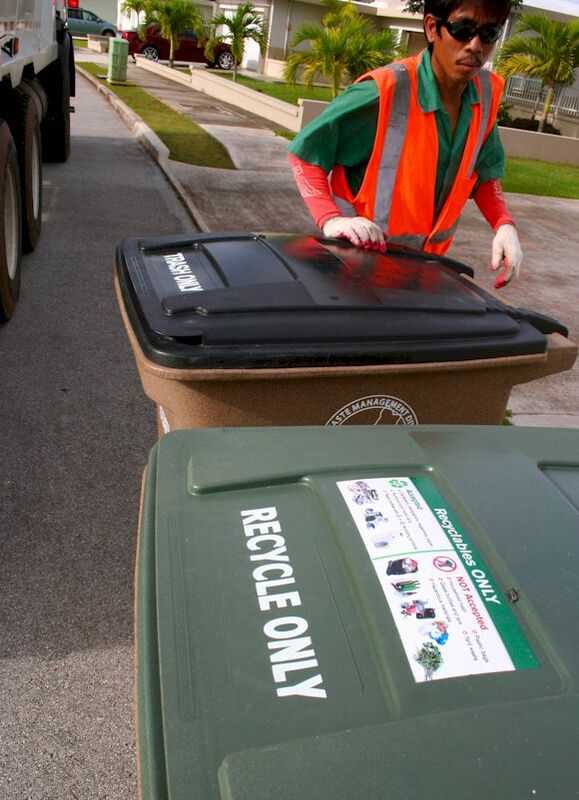 Learn more about the curbside recycling service through these frequently asked questions. There are also containers at the three Residential Transfer Stations where customers can recycle cardboard and glass bottles and jars for free. 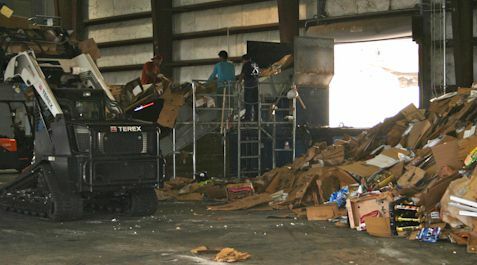 The cardboard is taken to a processor where it is baled and shipped to an end user overseas where it becomes new cardboard. 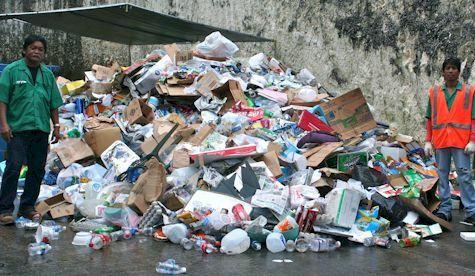 Glass bottles and jars are taken to the landfill and stockpiled until such time where they can be ground and used as alternative daily cover for the trash. 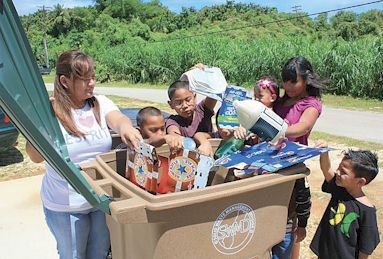 For other locations in Guam where you can recycle, please see Resources. Recyclables and trash are collected the same day from residents who participate in the curbside recycling pilot program. where it is made into new paper products.